Weekly sustainable agriculture news and resources gleaned from the Internet by NCAT staff for the ATTRA Sustainable Agriculture website. The Weekly Harvest Newsletter is also available online. 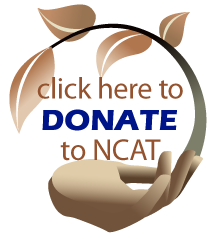 The National Center for Appropriate Technology (NCAT) is seeking a Director for our Northeast Regional Office. This is a great opportunity for a motivated, enthusiastic individual to increase NCAT’s service and visibility in Pennsylvania and surrounding states. The position will be based at NCAT’s office in Forty Fort, Pennsylvania. The AMS National Organic Program task force exploring hydroponic and aquaponic production practices and their alignment with the USDA organic regulations has prepared a report for the National Organic Standards Board (NOSB). The Hydroponic and Aquaponic Task Force Report is now available online in PDF. The public may provide comments to NOSB at their November meeting. In a nine-year study, USDA-ARS researcher R. Howard Skinner and his team compared paddocks planted with orchard grass and white clover to paddocks planted with a five-species mix of chicory, orchardgrass, tall fescue, white clover, and alfalfa. Over time, some of the species disappeared from the complex mix, yet those paddocks still produced 31% more forage than the others. A series of studies by Cornell University researchers have revealed that planting cover crops beneath vines in cool and humid climates can have several positive results. First, less herbicide is used, meaning less cost to the grower and less potential for harm to bees. Also, there is less nutrient- and pesticide-contaminated runoff. In addition, competition from the cover crop can prevent excessive vine vigor. Researchers at Rodale Institute compared conventionally grown and organically grown oats in terms of nutrient density. Results showed that organic oats contained higher concentrations of nitrogen and protein. Additionally, concentrations of zinc, iron, calcium, potassium, phosphorous, molybdenum, and copper were highest in oats from plots treated with organic manure and tilled. A Purdue University study found that rapid heating and cooling of milk can reduce the amount of bacteria present and increase cold milk's shelf life. The low-temperature, short-time (LTST) method raised the temperature of droplets of pasteurized milk by 10° for less than a second, using heat and pressure in a special chamber. The process could be tested as a stand-alone treatment for removing bacteria from milk. Scientists with the University of Tennessee Institute of Agriculture used a Soil and Water Assessment Tool to model the water-quality effects of Tennessee corn and soybean growers adding an unfertilized winter wheat crop to their rotations. The model showed significant reductions in nitrogen and total phosphorus lost from row crop fields, resulting in water-quality improvements as far away as the Gulf of Mexico's Dead Zone. USDA is seeking applications for funding to help support the development of advanced biofuels, renewable chemicals, and biobased products. The program provides loan guarantees of up to $250 million to develop, construct, and retrofit commercial-scale biorefineries and to develop renewable chemicals and biobased product manufacturing facilities. Applications for the first funding cycle are due October 3, 2016. USDA is utilizing funds from the Great Lakes Restoration Initiative for phosphorus reduction in three watersheds in Michigan. Farmers in these watersheds can receive financial assistance for implementing conservation practices that will reduce the amount of phosphorus from agricultural land entering surface water. Applications are due by August 5,2016. Iowa agricultural producers who want to increase habitat for Monarch butterflies can receive funding through USDA NRCS for conservation practices that attract Monarchs. A sampling of eligible conservation practices includes brush management, conservation cover, field borders, and prescribed burning. The application deadline is August 5, 2016. This free workshop for organic producers—or anyone thinking about certified organic production—outlines program options, presents the basics you need to know, and offers an interactive experience to help understand the types of programs available and how to engage with USDA offices. Minnesota Grazing Lands Conservation Association presents this course, which includes an introduction to grazing basics, plant identification, and rotational grazing. It also offers grazing exercises in the field and an opportunity to work with grazing experts to develop a plan for your farm. Conservation in Action Tours bring people together to share ideas and inspiration. Join the Conservation Technology Information Center and partners for a look at innovative conservation partnerships and practices on a wide range of crops and farms. ATTRA was developed and is managed by the National Center for Appropriate Technology (NCAT). The program is funded through a cooperative agreement with the United States Department of Agriculture's Rural Business-Cooperative Service. What resources are available to help with installing an agroforestry planting? Voting is now open. Award star rankings to each image by midnight on August 13.